In the early days, Android Wear had a luxury problem. Okay, the early models had a far way to go to be considered luxury. They had to first work their way up to unembarrassing, let alone classy. But these days you can throw half a grand at a stylish gold watch if you want to. Better yet, you can catch one on sale for less than half that. 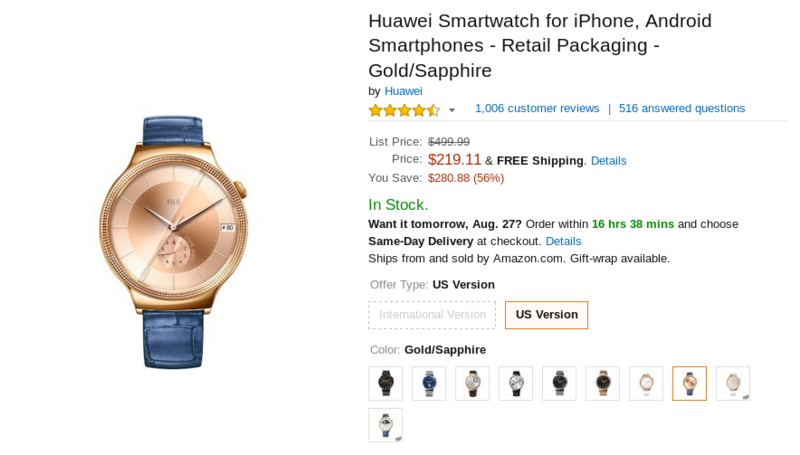 Right now Amazon is selling the rose gold Huawei Watch with a sapphire strap for only $219.11. 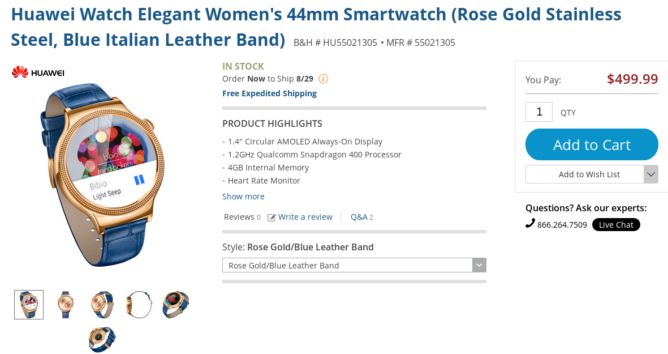 For comparison, Best Buy wants $400 for the same watch. B&H is still asking for a hundred more than that. Even if you hate the strap, you can always buy one separately and come out with hundreds of dollars left in the bank. So if you're in the market for a smartwatch you can wear in front of your boss, or your SO, I don't need to say more.